Going to study abroad for a period of time is a challenging time for young people, as they are facing an unfamiliar environment, a new language and culture to name but a few things. In addition, it can be more even more difficult for students with disabilities who may face inaccessible environments or disability-related stereotypes. As recognition of such challenges, ESN developed the ExchangeAbility project to make our organisation accessible for students with disabilities, to help remove obstacles to participation in exchange and promote the opportunities available. The ExchangeAbility project was also initiated due to a recognition of the current situation regarding the mobility of students with disabilities. According to the data from the European Commission, during the academic year 2009/10 230 students with special needs receiving a supplementary grant participated in Erasmus for study. This represents 0.14 % of all Erasmus students. Although an increase compared to the previous years has been observed, the number is still exceptionally low. Making ESN a more accessible association for disabled students at all the levels of its activities. This means that ESN wants to provide the conditions and opportunities for the disabled students to actively be involved in the work with international students and therefore to benefit from the exchange programmes at their home universities. Increasing the number of students with disabilities going on exchange. The long-term vision of the project is to promote the opportunities and support offered for students with disabilities to study abroad. 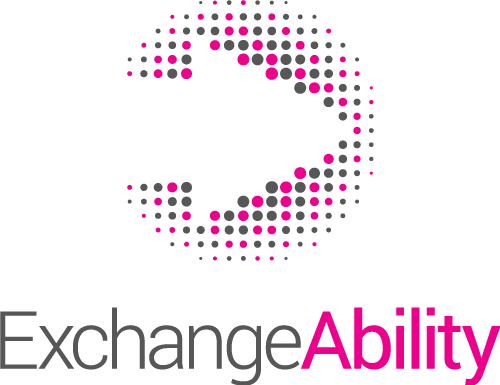 Also, ExchangeAbility works with ESN sections, HEIs and organisations that are experts in the field to create the best conditions possible for disabled students during their stay abroad. Mapped! - chech the accessibility of your university!